It’s like stepping into a dream. The four Walt Disney World® Theme Parks make the real world seem far away, and make-believe as real as the smile on your face. The original – and some say it’s still the best – theme park at Walt Disney World® Resort. Enter through the station and walk down Main Street USA toward Cinderella’s Castle. The park is split into 5 areas that surround the castle including Fantasyland, Tomorrowland, Adventureland, Liberty Square and Frontierland. There are rides, shows, shops and “sights-to-see” at each of them. There’s something for every age and also every taste… Like the “Mad Tea Party” carousel in Fantasyland to the thrill-seekers Space Mountain in Tomorrowland. 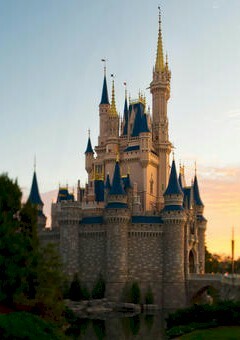 We recommend that you plan to spend at least a whole day at Magic Kingdom. It’s easier if you spread your visit over a couple of days, because there’s so much to see and the lines can be long for the rides! Speak to one of our Guest Services team for advice and planning tips. To get the most out of visiting this park – treat it more like an expedition than a day out! 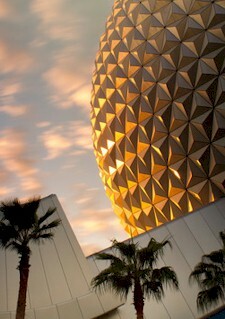 Walk in through “Spaceship Earth” and visit this wonderful theme park for a day. There’s something for everyone here, but the theme is definitely less theme park and more educational experience to our mind! Epcot has 2 main areas including Future World around the Spaceship Earth globe at the entrance. The second “half” of the park is the World Showcase that surrounds the lagoon lake. This is a fabulous way to sample culture, art, food and drink from around the world. There are 11 different “countries” represented in their own image around the lake. Sit and enjoy some Japanese sushi, or some English “Fish and Chips” – or have a French patisserie – it’s all here! If you want to beat the crowds, we recommend that you enter the park and walk to the lagoon. Then hop onto one of the (FREE) ferry boats to take you to the far side and one of the World showcase country pavilions. From there, work your way back around the lake (east or west) and take in the different countries, cultures, food and drink as you walk back. By the time you’ve made it around one side of the lake, you can visit Future World with less crowds. This fabulous, movie inspired theme park is a family favorite! Let the kids meet Darth Vader or Chewy the Wookie during your visit. Or take a back-stage tour to see how the movies are made. Eat in a 50’s themed diner (you’ll think you’re on “Happy Days”!). 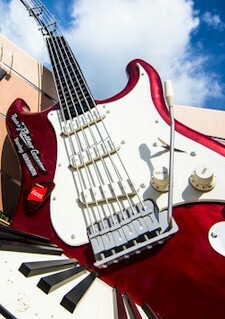 If you like thrills, then be sure to ride the Rock ‘n’ Roller Coaster starring Aerosmith – it’s “radical”! There’s indoor themed adventures too, with Star Wars rides and 3D experiences, photo opportunities with characters and Jedi training school for the little ones. You can also enjoy Muppet Vision 3D, or take in one of the many shows throughout your day at this family-friendly theme park. For the brave-of-heart, the ultimate thrill ride in Hollywood Studios has to be the “Twilight Zone Tower of Terror”. Take a ride aboard this haunted elevator through the ghostly halls of the abandoned hotel. At the top of the tower, the doors of the elevator open and you’re staring out across the park from (what feels like) 20 floors up… wait for it… just when you feel safe, the elevator plummets down the shaft… will you survive? The most recent (and some think it’s the best) theme park at Walt Disney World® Resort. This sprawling theme park is actually one of the largest and there’s plenty of walking in the sunshine as you see all the animals and experience the shows and thrill rides. There are 6 separate “zones” at Animal Kingdom, including the Oasis, Discovery Island, Africa, Rafiki’s Planet Watch, Asia and Dinoland USA – and there’s something for the whole family inside each part of the park. Get to see the animals in their “natural” settings (the lions sit for hours on top of one rock, because that’s where the cooling AC air is blowing from!) There are tropical garden pathways to explore, as well as fun 3-D shows like “It’s tough to be a bug” to see. Get the kids to earn their “Wilderness Explorer” badges as they tour through the park, or follow the Gorilla Falls Exploration Trail in deepest Africa. In addition to the animals, shows and rides that are all around the park, you’ll also find some fabulous dining options with wild tastes from Asia, Africa and around the world. 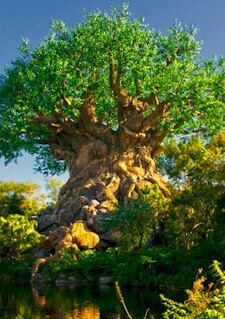 Prepare to be awed, inspired, thrilled and enchanted. From fantasy and discovery, to spotlights and roaring adventure, the magic of Walt Disney World® Theme Parks will come alive all around you. 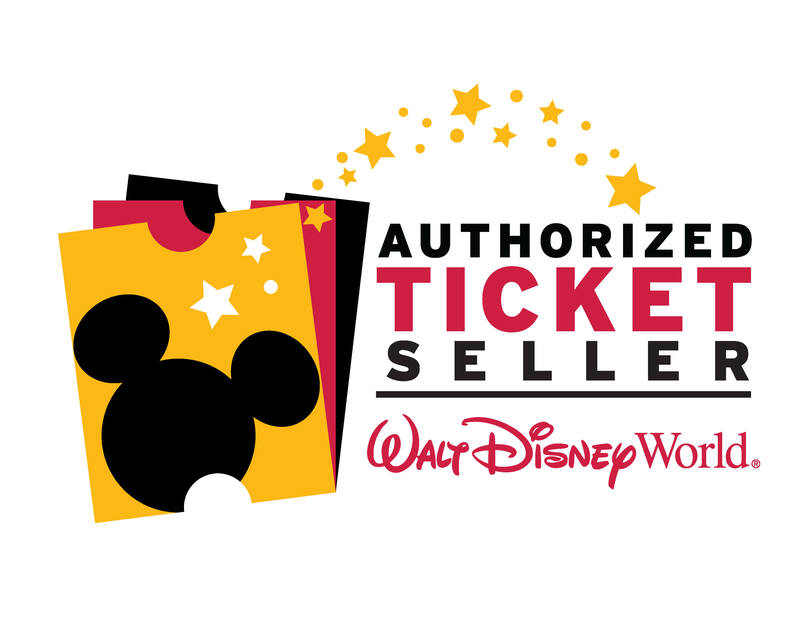 And rest assured that you can enjoy real peace of mind by purchasing authorized, discounted tickets from VillaDirect. Call TOLL FREE NOW on (866) 934-9177 to purchase tickets!